Best wishes for the holidays and the New Year! 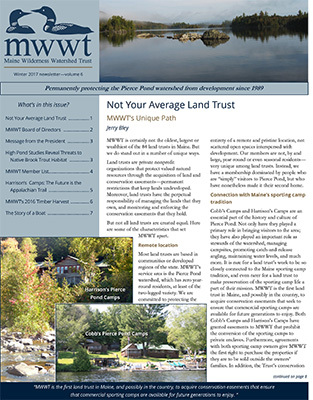 Contribute to the MWWT Newsletter! 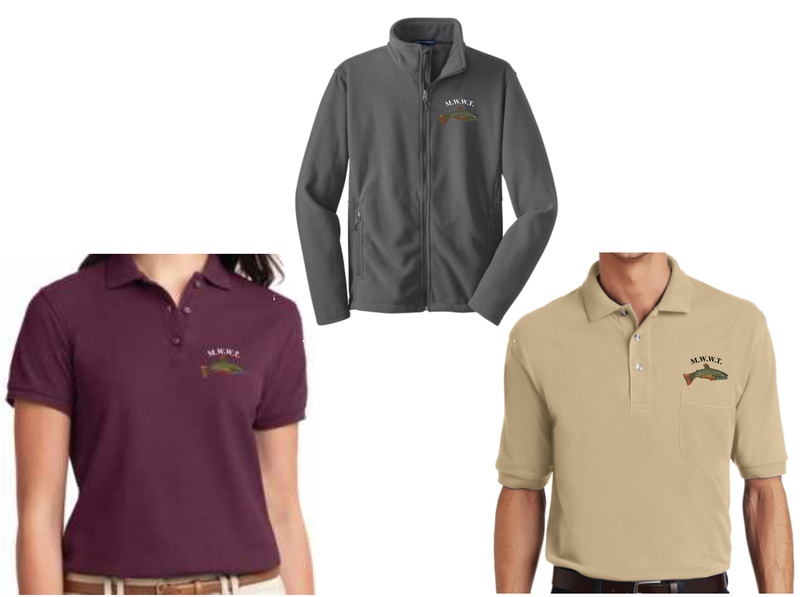 Greetings, MWWT members; it’s been a while since we sent out a news update, but that doesn’t mean things aren’t happening! There has been some very intensive activity by the Board of Directors and some members, as we moved through the various phases of the Capital Campaign Planning Study. To refresh your memories, the Planning Study is being conducted by Demont & Associates, a highly regarded firm in Portland specializing in philanthropic counsel to not-for-profit organizations. 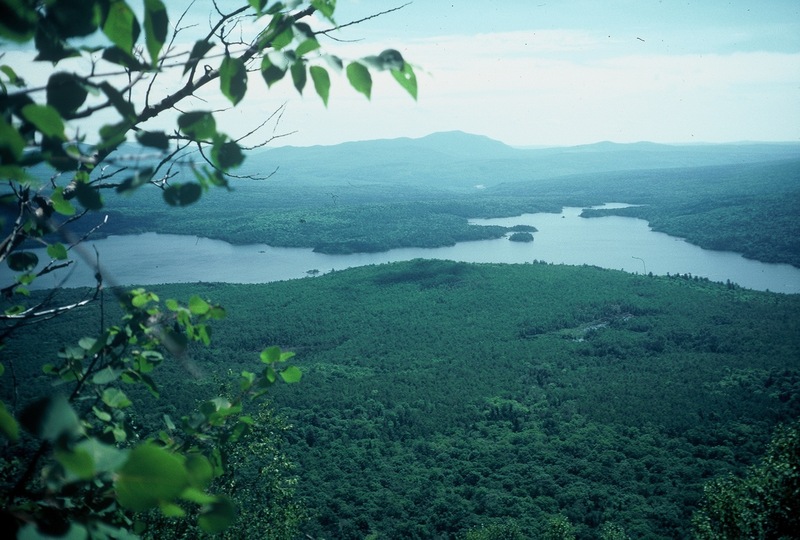 The study is assessing the viability of our goal of owning and stewarding the watershed, to truly protect it while continuing to provide recreational opportunities. The intent of the study is to ensure that the goals being pursued are consistent with the desires of the entire membership, and that the logistical and financial support will be available when and if a capital campaign is initiated. Many thanks are due to the members of the Study Oversight Committee and all the members who have given their time and energy to the interviews that have been conducted. On December 12, the Board received the final Demont & Associates presentation and recommendations. The board will meet to decide how to move forward in the new year. The annual meeting is not that far away: Saturday, March 3 at the Harraseeket Inn in Freeport. Put it on your calendar and look for your invitation after the New Year! Everyone had such a good time last year that we will have a similar format, with a silent auction and multiple bucket raffles and door prizes. We will most likely have fun and informative entertainment. I’ll not give any further clues but stay tuned and we’ll let you know as soon as things are confirmed. 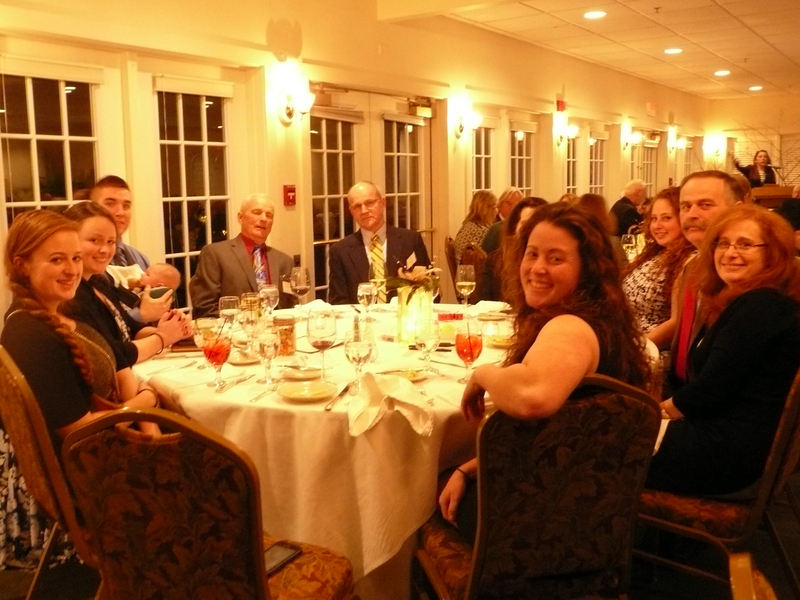 Last year, board member JoAnne Gallant orchestrated both the annual banquet auction and the “300-raffle,” which awarded a $10,000 prize and raised $20,000 to help MWWT move forward with more aggressive protection of the Pierce Pond watershed. It took a great deal of her time and effort and everyone owes Joanne a big thank you for her work on the Trust’s behalf. This year she kicked off the “bottle challenge,” which encourages everyone to fill a standard water bottle with dimes. Once filled, each bottle is worth about $100. 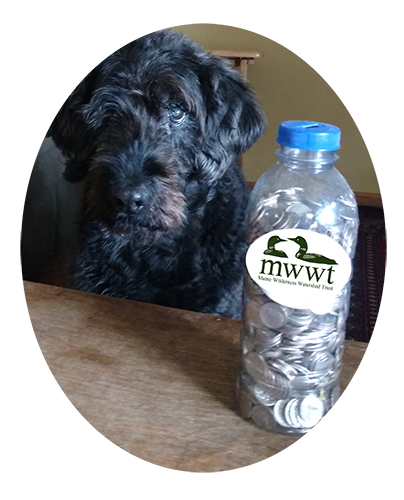 With more than 400 MWWT members, we should be able to surpass last year’s $20,000 fundraiser! Get your updates in to Kyle McCaskill (info@mwwt.org) so we know how it’s going. There’ll be prizes and gifts for the most bottles filled. You don’t have to be at the banquet to participate (although we’d love to have everyone there!). The annual newsletter is in development so please get any ideas, articles, thoughts, and suggestions you may have to Kyle, so we can have a robust and informative newsletter. Remember—the newsletter is only as good as the input we receive from the membership. Kyle and others cannot manufacture a factual and interesting newsletter without your help! Andy Cobb says that parts of the Pond have started to ice over . . . which means that winter has finally arrived, and ice-out is only 4 1/2 to 5 months away!